Wouldn't you love to have a great smile makeover. The techniques we've perfected at Kelly Dental Care will have everyone commenting on your amazing teeth. 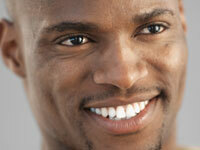 Ask us about veneers and teeth whitening and how we can maximize your dental insurance. We also provide teeth whitening, braces and dental implants. It's easy to make an appointment right now with Tunkhannock area cosmetic dentists Dr. J Kelly Jr. and Dr. J Kelly Sr. Just call our helpful staff at (570) 587-4787 or complete our easy online form. 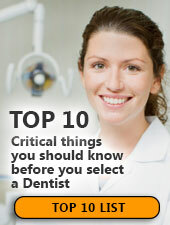 Now is the best time to get the top dental care you deserve - we're looking forward to meeting you at Kelly Dental Care! If you're looking for dentures that look great and last, look no further than Kelly Dental Care located in the Tunkhannock, PA area. Joseph Kelly, Jr, D.M.D. will assess your needs and fit you with durable, comfortable, natural-looking dentures - at a price you can afford. If you're looking for a highly-trained cosmetic dentist in Scranton you've come to the right place. Dr. Joseph Kelly, Jr offers cosmetic dentistry that Scranton residents have come to trust for caring and professional dental care. Call Kelly Dental Care today at (855) 695-9464 to schedule an appointment. If you have questions about your toothbrush, call us at (855) 695-9464 and we’ll be pleased to offer recommendations. Dr. Kelly will tell you that regular brushing and flossing lowers the chance of your children developing cavities. However, sometimes good habits alone aren't enough. The most decay-prone areas of teeth are the grooves and depressions on the chewing surfaces of the back teeth. These vulnerable areas require further preventive care. To protect kids' teeth from decay, a plastic-like coating called a sealant should be painted on the chewing surfaces of all the back teeth. It's a simple process that's extremely effective: studies have shown that sealants can reduce tooth decay by as much as 90% to 100%. Please call Kelly Dental Care at (855) 695-9464 with any questions you may have about the benefits of using a sealant in preventing dental decay.